With the cost of living perpetually going up and wages not rising to match them, many people are finding that a single, forty-hour-a-week job isn’t enough to cover their expenses and save for their futures. For anyone whose nine-to-five job isn’t enough to meet their financial needs, a side hustle is a great way to supplement regular income. With today’s “gig economy” fueled by apps and websites that make it easy to find extra part-time work, there’s never been a better time to get a side hustle going. One thing that’s easy to overlook when thinking about getting some extra work on the side is how the added income will affect your federal and state taxes. Most places you’re likely to take on side work for will send you a 1099 form at the end of the year. This means they won’t deduct any taxes from your pay throughout the year, leaving you obligated to calculate and pay what you owe. Fortunately, the IRS has some laws that small business owners and independent contractors can take advantage of, in order to save on taxes. Anyone with a side hustle can potentially make use of some of these laws. Especially if you’re bringing home good money, it can make a lot of sense to register as a business in order to maximize your tax savings. Whether you’re freelancing, driving for a rideshare or delivery company, or selling your own crafts online, any side hustle that doesn’t involve being an actual employee of somebody else’s company effectively means you’re in business for yourself. Taking the steps to make your side hustle a legal and official business can help you pay less in taxes and keep more of the money you’ve earned. 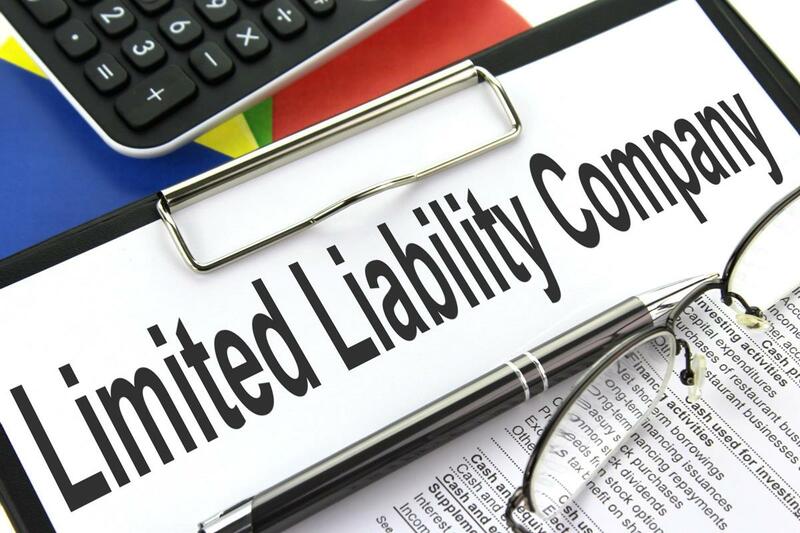 Forming a Limited Liability Company, or an LLC, has long been an option, as far as reducing your tax burden when you’re self-employed. As an LLC, you can choose whether you want to be taxed as a sole proprietor or as a corporation. If you are taxed as a sole proprietorship, all business profits are taxed as your own personal income, and you pay Social Security and Medicare taxes on the entire amount. If you register your side hustle as an LLC, you can potentially save thousands of dollars in taxes. Forming an LLC isn’t a difficult process. You have to choose a valid name, file articles of organization or a certificate of formation with the state you’ll be running it out of, and pay any required fees. In some states, you may have to publish a formal notice in a local newspaper or get licenses and permits, depending on your particular type of business. By filing form 8832 with the IRS, you can opt to have your LLC’s income taxed at a lower rate so that you only need to pay Social Security and Medicare taxes on the salary you pay yourself from the business profits. There are other potential tax advantages to having an LLC. For instance, you may be able to make larger deductible contributions to insurance and retirement funds. You may also be able to take deductions on office space and equipment that you lease to your own business. An experienced tax professional can help you figure out the best way to legally reduce what you owe. The new Tax Cuts and Jobs Act, signed into law in December of 2017 provides a tax deduction for small business owners whose income “passes through” business entities like estates, LLCs, partnerships, S-corporations, sole proprietorships, and trusts. Known as the Qualified Business Income deduction, this part of the new tax law allows you to claim a deduction of up to 20% on pass-through income from your small business profits. Calculating the exact percentage of the deduction you’re allowed to take can get complicated, so this is another area where getting professional tax advice can help you maximize your savings. It might feel a little overwhelming to think about registering your side hustle as a corporation and figuring out a complicated tax filing strategy, but these laws and deductions were specifically designed to provide benefits to people taking on the risks and challenges of self-employment—and if you’ve got a side hustle, that means you. Whatever you’re doing, you’re working hard, so why give the IRS a dollar more than you absolutely have to? The more money you’re making from your side gig, the more you can potentially save and keep for yourself by seeking out—and following—expert tax advice. Most of us focus on making money by working hard and finding opportunities, rather than creating legal business entities designed to help us take advantage of complex tax laws. But why let the big corporations get all the tax breaks when there are deductions out there specifically intended to help people just like you? Get organized, and keep more of your side hustle earnings in your pocket.